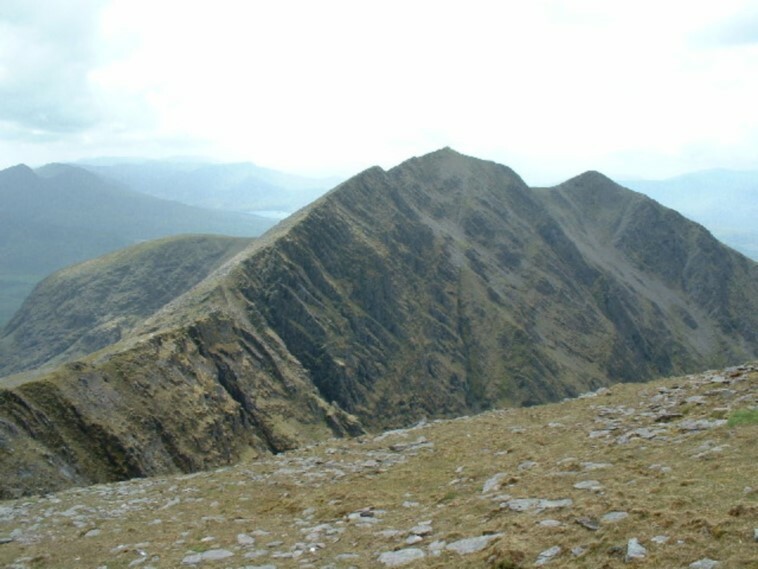 This sharp, dramatic peak is linked by a fine, airy ridge to Carrauntoohil, Ireland’s highest mountain. 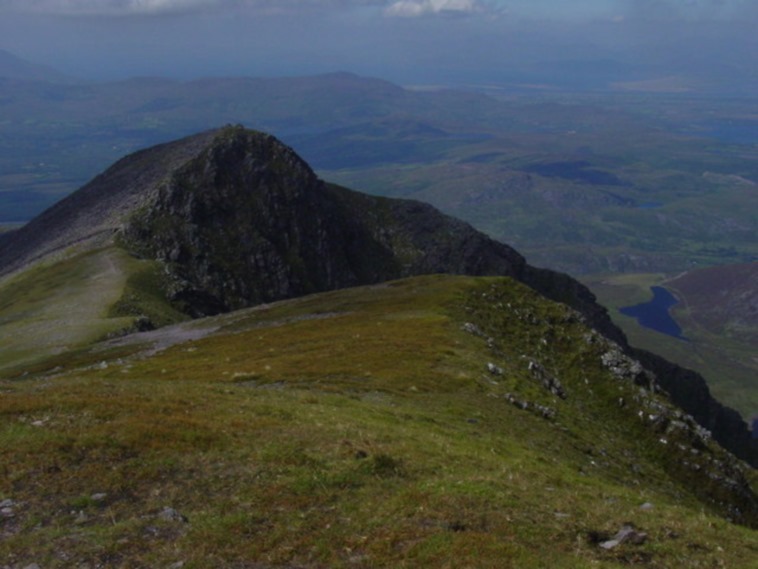 Ireland’s third highest peak sits on a gorgeous narrow ridge to the west of Carrauntoohil, Ireland’s highest mountain, on the central ridge of MacGillycuddy’s Reeks, the country’s most famous walking area. This small massif is essentially a long line of grassy slopes and crags, nestling dramatic cirques, lakes and tarns; at the heart of the range is the forbidding pinnacle and dark 2,000+ ft cliffs of Carrauntoohil. Caher enjoys exceptional views of the range and its surrounds. 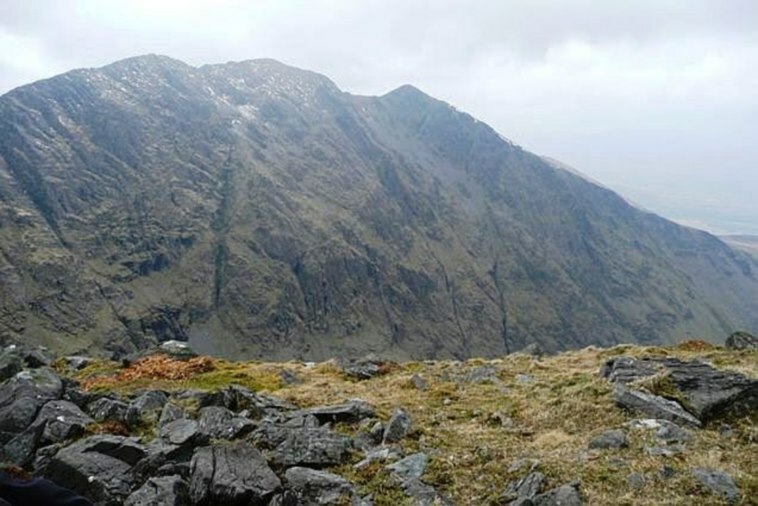 Caher is most often climbed with Carrauntoohil​, a teeter along the sharp airy ridge that joins them; then you can retrace your steps to get back to your start, or head on westward for 4 or 5 kilometres, with a long, steady descent to the little road above Lough Acoose – or south to Curraghmore and on south-west to the Lack Road to the south-west, although this would involve a longer descent on a lesser path. 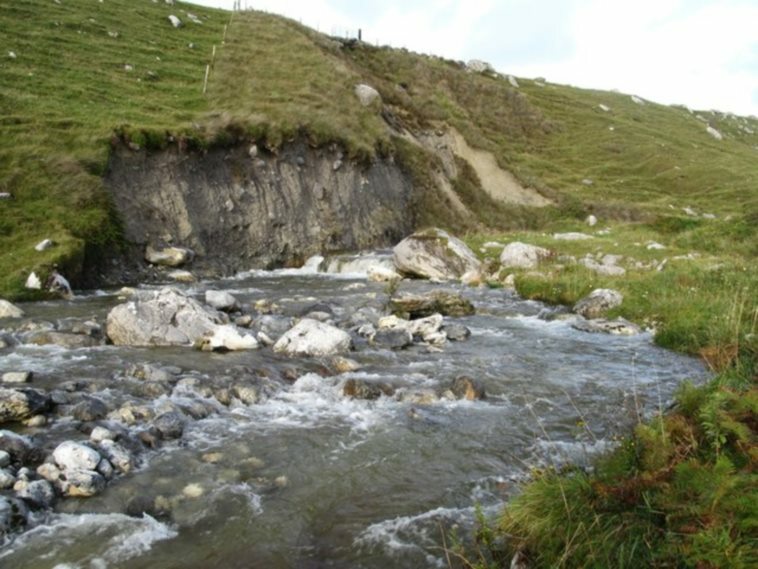 Caher can also be climbed from the west on these paths in reverse. 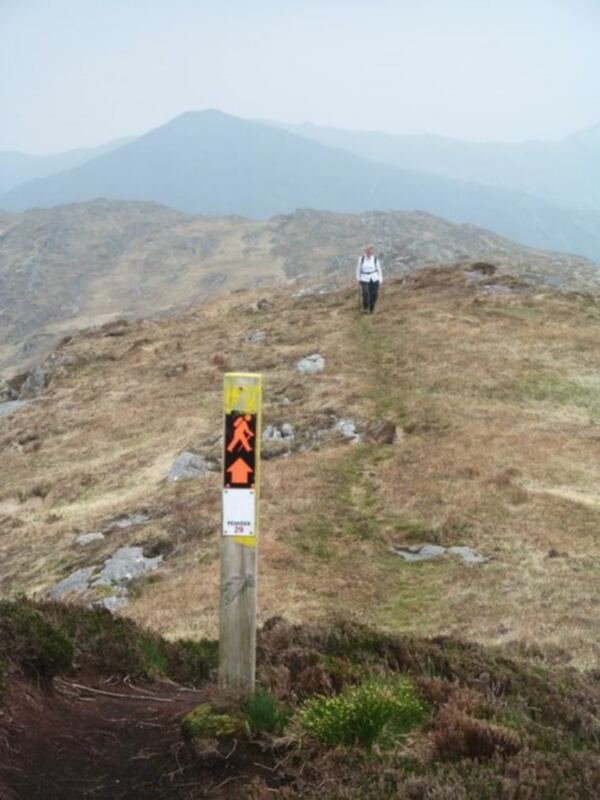 See our MacGillycuddy’s Reeks and Iveragh Peninsula pages for more general and practical information and photos.